The RTV-XG850 Sidekick is ready for exciting adventures, important tasks and just plain fun. Enjoy the acceleration, torque, and responsiveness you expect from a high-quality, multipurpose utility vehicle. Experience it now at your Houston Kubota dealer, Bobby Ford Tractor and Equipment. What sets the RTV-XG850 Sidekick apart from the competition? 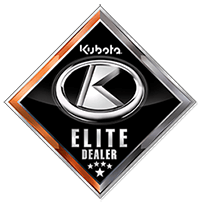 Innovative design and Kubota’s dedication to quality combine to enhance your riding experience. Powered by a water-cooled, 48 hp gasoline engine, your new Sidekick will help you take on those hills with absolute confidence. Together, the robust engine and innovative CVT-Plus transmission deliver impressively quick acceleration. The CVT-Plus transmission, standard on all RTV-XG850 series models, smoothly transports you at speeds up to 40 mph. A centrifugal clutch combines with a heavy-duty, double-cogged belt for worry-free performance with minimal slippage and impressive responsiveness. A big cooling fan enhances durability. This transmission is properly shielded to keep water and dust at bay. The Sidekick also comes equipped with Idle Speed Control (ISC) and highland correction for stable power under any circumstances. Kubota understands that steering control is of utmost importance in a utility vehicle. The 45A EPS system delivers exceptional control, handling, and stability, even with full payloads. The speed-sensitive design is light at lower speeds and firm at higher speeds. Enjoy greater comfort and easier handling with the ergonomically designed tilt steering wheel that easily adjusts to match your posture. Thanks to the Sidekick’s engine brake, you’ll be able to focus more on steering and less on braking, especially on steep slopes where reliable control is vital. The design features a one-way sprag clutch and centrifugal clutch. Select the Sidekick’s 4WD capability for maximum traction, even under heavy loads. Choose standard 2WD under less demanding conditions. Thanks to the independent front and rear suspension, there’s little concern about bottoming out. You’ll have the ground clearance you need when your Sidekick is fully loaded. The durable system is outfitted with high-strength urethane bushings. The white LCD digital panel delivers the visibility you require in a wide variety of conditions. Monitor important vehicle functions along with a seat belt indicator, parking brake alarm, overheating warning, and intermediate gear control indicator. The Sidekick’s LED headlights provide excellent visibility. Consider the optional upgrade to four LED lights for even greater illumination. You’ll love having the DC outlet to charge your phone and other mobile devices. Use it to operate optional lighting equipment when you’re out on your next adventure. The half doors will keep dirt, brush and other adverse elements at bay while making it simple to get in and out. On the ROPS, you’ll find shoulder guards that keep occupants in place during operation. Ergonomically designed, 60:40 split bench seats provide both comfort and space. Ample storage space makes the Sidekick even more user-friendly. You’ll find large compartments under the seats that are perfect for tools, personal items and more. The locking, passenger-side glove box is spacious enough to provide quick, secure access. The cup holder provides a secure place for your travel mug or tumbler. Take on those big jobs without hesitation. The Sidekick’s big 15.2 cu-ft cargo box is fabricated from heavy-duty steel. Use it for everything from tools to gear and from supplies to firewood. Thanks to the Sidekick’s added ground clearance, you can load up the cargo box with confidence. You can also customize your new Sidekick with any of Kubota’s extensive line of accessories and implements. Check out the complete line of Kubota Utility Vehicles at Bobby Ford Tractor and Equipment. Visit our Angleton showroom today to experience the new RTV-XG850 Sidekick, or contact us online for prompt assistance!